Sometimes, parents miss the importance of “being there” for their children. However, it’s imperative to know the profound meaning of availability especially when they grow up. Those parents who are readily available to their children whether it’s for a heart-to-heart conversation or play will see an incredible progress during adolescent years. The truth is, parents who are involved and present tend to build a better emotional foundation for their children. One of the best ways to express your support is doing fun activities with them. Call it a date, but we think it’s healthy to get your children immersed in a time well-spent with you. This activity is fun for everyone involved. Not only is it inexpensive, but it’s a big deal to them! Many children love going to the theater especially when it’s a movie they really want to see. It’s a fun childhood experience that they should try now and then. Support your community by going to a mom and pop store! During summer take them to a local ice cream shop or enjoy a hot cocoa at a cafe. Getting them a special treat indirectly says ‘I love you’ as this activity is a time well spent. Ask your children if there’s a sport that they would like to try! Some ideas are ice skating, rock climbing, miniature golf, or roller blading. Whatever they choose, make sure to be supportive of their choice. Cheering for a team can be a fun way to spend time together. Watching a competition never hurts as this can be a way for you to teach them how to be a good sport. Try watching football, basketball, or soccer together. Ask your child what they’re passionate about and support it! 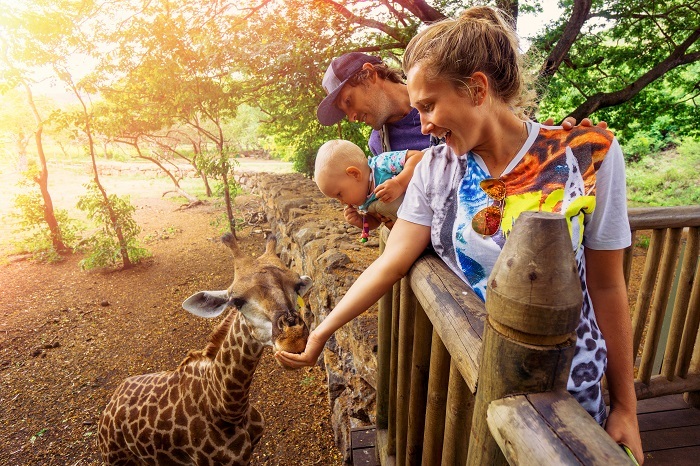 If they’re an animal lover, you can take them to the zoo! If they’re creative, try a gallery instead. Walking is one of the best ways to spend time together. It’s free, and it gets you active. You can utilize this time to talk to each other. Remember that this is your time to be open with each other. The idea is that they can reach out to you anytime. Don’t just sit there and watch them play. Get out there and play with them. Whether it’s playing catch, basketball, or tag, make sure to have a good ole’ fun together!